When it comes to our food, it’s important to be aware of the process that takes place in getting our food onto our tables. People often discuss the ingredients and chemicals that go into the processing of our food, but it’s also good to consider what’s in the water being used in the food processing. 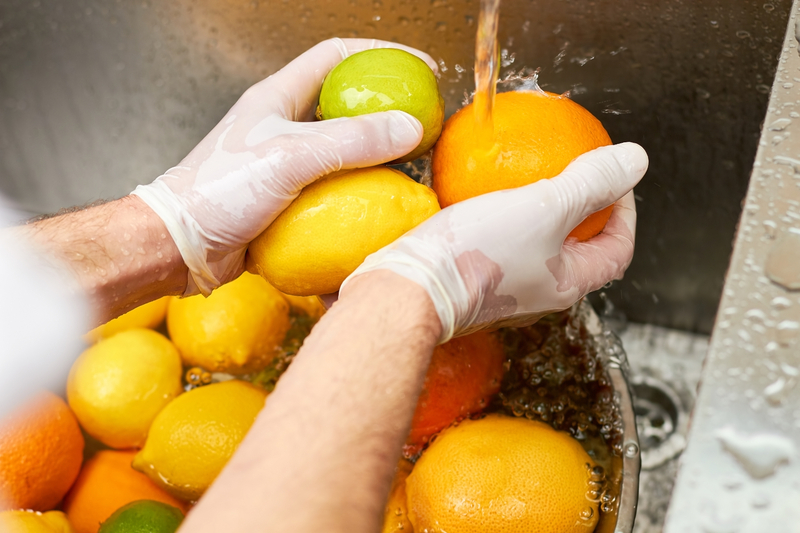 Proper water filtration is crucial for keeping up with safety standards in food processing. A provision that took place in 2016 by the Food Safety Modernization Act (FSMA) stated that nearly every food processing plant in the US is required to have a written hazard analysis and risk-based prevention control plan (HARPC). This means that the facility operators need to identify all critical control points in the manufacturing process where contamination could potentially occur. Water filtration is a very important part of the process. Filtration plays a large role in food safety. Liquid and steam coming from water are commonly used as a cooking element and a cleaning agent. While this is great for these uses, water, steam, and air can also transport tiny bits of microbial contaminants into products or packaging, as well as deposit them onto surfaces that come into contact with food. Even small amounts of certain contaminants can be a health concern for the people who purchase the product. It's crucial that every step of the process works as intended, and that the water itself doesn't bring in contaminants. Prefiltration - This step of filtration occurs in utility rooms or bulk storage rooms where water, steam, and air sources are first brought into a facility or where they are generated. Intermediate Filtration – During this step, the water, steam, or air will travel through piping or other equipment before it makes direct contact with food or other surfaces. Final Filtration - This is done near or at the end of processing, in a final attempt to deal with any contaminants that survived the intermediate steps. Depending on the situation and facility, there could also be other opportunities during the process that uses water filtration. Once a processing plant owner knows where they need filters, he or she needs to next identify the appropriate equipment with the best efficiency for the specific job at hand. Fortunately, this is an area that is constantly improving, but that means that a plant owner should always stay on top of the most recent developments in filtration technology. Number of sterilization cycles allowed. Flow rates that determine energy costs. High Volume Liquid Filters - These filters were developed by micro-filtration engineers to allow for higher production demands of liquid goods. This filter has a 20 percent larger media and asymmetrical pores that allow more to flow through. This new filter delivers higher filtration and a longer life cycle of the filter itself. Sterile Air Filters - These filters were created for extreme conditions. This filter features elements that capture bacteria, viruses, and particles down to the size of 3 nanometers, while withstanding extreme temperatures up to 390 degrees Fahrenheit. The element itself also dries quickly, leaving less down time between cycles, and allowing for a more efficient process. Process plant owners are responsible for knowing and implementing the best filtration processes available. They benefit from consulting with an industrial food safety expert that can come in and help identify where better filtration is needed. If you are in this position, you should make sure you have an experienced filtration specialist to help manage the purchase and maintenance of the filtration system to save time and money for your company. If you want more information on filtration, check out Advanced Water Solutions’ blog on pitcher filters vs whole house filters here!